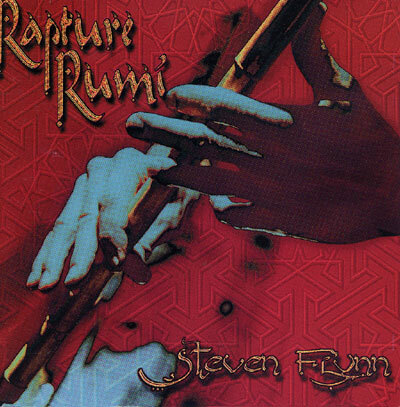 The ecstatic, passionate poetry of the 13th century mystic Jelaluddin Rumi is the inspiration for the music on this new album by Steven Flynn. Dark, turbulent, jubilant, these churning melody lines haunt us and rip at our hearts. Joined by master percussionist Armando Mafufo, Steven utilizes ney (reed flute), tar (frame drum), digeridoo, violin, and more in creating this music. Hot rhythms and yearning melodies combine to make songs that speak of the desires of both body and soul. Great music for listening or dancing.